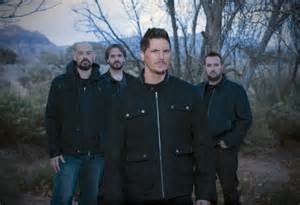 The eleventh season of Travel Channel's "Ghost Adventures" premieres on Saturday August 22 at 9 p.m. ET when Zak, Aaron, Jay and Billy investigate Iowa’s Edinburgh Manor. The complete details for Season 11 are provided in the network's press release, including information about upcoming locations (Clown Motel!) and a special Halloween episode (Deadwood!). Check out the details, a sneak peek and then mark your calendars for August 22. Lockdown your Saturdays with the fearless team from Travel Channel’s “Ghost Adventures,” returning for a spine-chilling new season on Saturday, August 22 at 9:00 p.m. ET/PT. Paranormal investigators Zak Bagans and Aaron Goodwin, along with A/V techs Billy Tolley and Jay Wasley, explore America’s most haunted hot spots in pursuit of answers to the ghostly mysteries that lie within. In each “lockdown” investigation, Bagans and the team use advanced scientific technology to confront the reported paranormal activity and document key evidence. Season 11 is comprised of 11 hour-long episodes and one two-hour special. In the season premiere, the team travels to Scotch Grove, Iowa to investigate the 150-year-old Edinburgh Manor. The manor once housed the incurably insane and has documented over 100 deaths within its walls. A menacing dark entity known as “The Joker” terrorizes those who enter, inflicting physical harm. Inexplicable technical issues plague the team from the start. As they make their way to the basement – the center of the Joker’s attacks – Bagans and Goodwin experience intense uncomfortable feelings, and Bagans decides to leave before the dangerous energy completely overwhelms him. But the investigation takes a frightening physical turn when Tolley makes contact with an active presence. In this year’s special two-hour Halloween episode airing on Saturday, October 31 at 9:00 p.m. ET/PT, the team embarks on a full-scale investigation of Deadwood, S.D. – a notorious rough-and-tough boomtown full of powerful paranormal activity. Known as one of the deadliest towns in American history, Deadwood is shrouded in violence and betrayal. In a lockdown like no other, the crew investigates a number of the town’s famed buildings: the Bullock Hotel; Wild Bill Trading Post – reportedly haunted by Wild Bill Hickok; the Fairmont Hotel – formerly the Mansion House brothel; and the Adam House, thought to be the most tragic haunt in town. The Castaneda Hotel is one of the famous Harvey Houses built by Fred Harvey in 1898 – and “Ghost Adventures” is the first paranormal group to investigate the property. Harvey was known for his all-inclusive hotels, and the famous “Harvey Girls” who served as staff in all of the Harvey Houses. The team undergoes an active investigation at both the Castaneda and nearby haunted Plaza Hotel. The Clown Motel is believed to be haunted by miners who perished in the 1911 Tonopah Belmont mine fire, and are buried in the nearby cemetery. As they investigate the quirky themed motel, Bagans’ fear of clowns is put to the test. Goldfield High School, nestled in a historic ghost town, has been abandoned for 60 years. During their lockdown, Goodwin is physically impacted by a negative presence, while Wasley and Tolley capture several clues. Formerly a sacred Indian burial site, the famous Grand Canyon Caverns were first discovered in 1927 – with a number of bodies entombed by the local Hualapai Tribe. During their investigation, the team dodges mysterious rocks throughout the night and Bagans has an eerie, one-on-one encounter. The team heads to Hollywood, Calif., to explore the darker side of this legendary city. Griffith Park, the famous Hollywood sign and the Hollywood American Legion Post 43 are reportedly haunted by a few well-known names. During their investigation, the guys encounter mysterious dark energies and unexplained phenomena. Built by the town’s first mayor, Manresa Castle has become a magnet for paranormal activity. Now a hotel and inn, the spirits here acknowledge the living. With a history of suicides and a mysterious child’s casket discovered in the family tomb, paranormal activity is at times violent. The guys begin an extremely intense lockdown, with Goodwin as the focus of the activity. The abandoned Lincoln County Hospital is a massive, crumbling wreck of mold, mildew and ghosts. During their investigation, the entire team becomes increasingly affected by the intense emotions – and entities – within the building. While a menacing energy terrifies Goodwin, Bagans has an unsettling experience in a former hospital room. The Old Montana State Prison housed many dangerous prisoners during its 108 years as an operational prison, and was the site of a deadly prison riot in 1958. Hangings were routinely carried out on the prison grounds. At one point a mobile version of the gallows, now located on site, was responsible for all of the hangings performed in Montana. As the team investigates, they experience an abundance of mysterious occurrences and capture significant evidence. Get more “Ghost Adventures” on TravelChannel.com. The “Ghost Adventures Fan Lair” returns Friday, September 25 – interact with fans, explore ‘haunted’ photos, catch up on the latest “Ghost Adventures” chatter via a Facebook and Twitter stream and more. Additional web elements include video extras from each episode, photos, Aaron’s Vlogs, full-length episodes and more. For exclusive updates and content, check out “Ghost Adventures” on Facebook and follow @GhostAdventures and #GhostAdventures on Twitter.